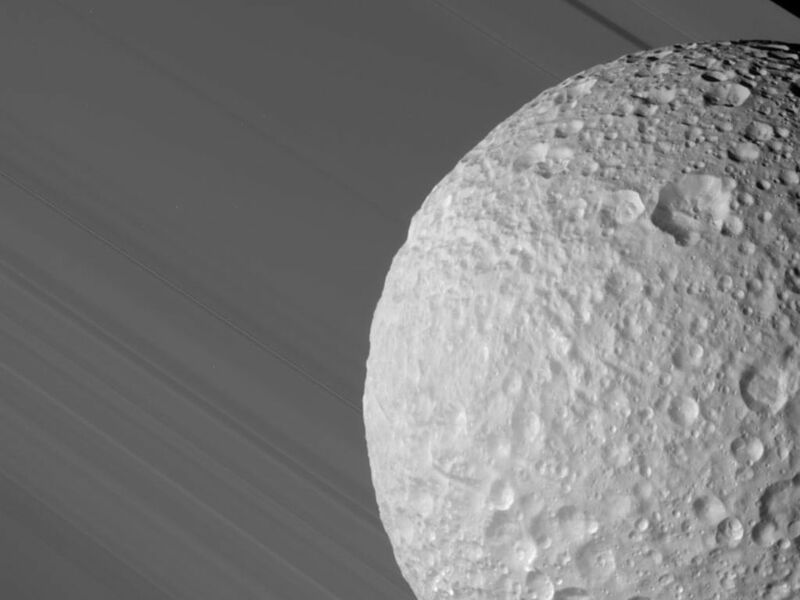 During its close flyby of Saturn's moon Mimas on Aug. 2, 2005, Cassini caught a glimpse of Mimas against the broad expanse of Saturn's rings. The Keeler Gap in the outer A ring, in which Cassini spied a never-before-seen small moon (see PIA06237), is at the upper right. 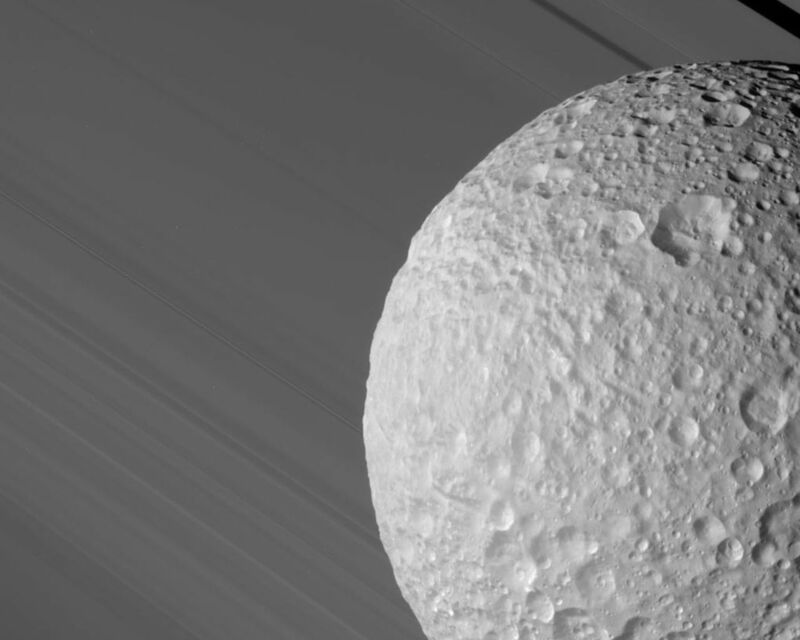 The ancient, almost asteroid-like surface of Mimas is evident in its crater-upon-crater appearance. Even the material which has slumped down into the bottom of some of its craters bears the marks of later impacts. 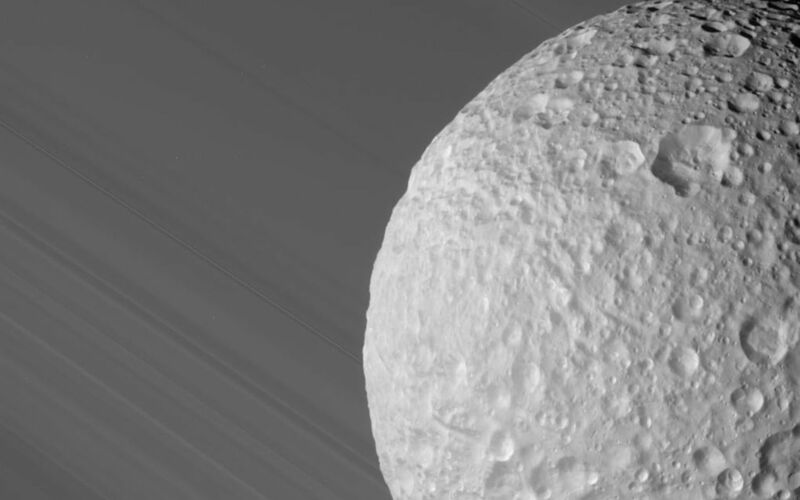 This image was taken through the clear filter of the Cassini spacecraft narrow-angle camera at a distance of 68,000 kilometers (42,500 miles) from Mimas and very near closest approach. 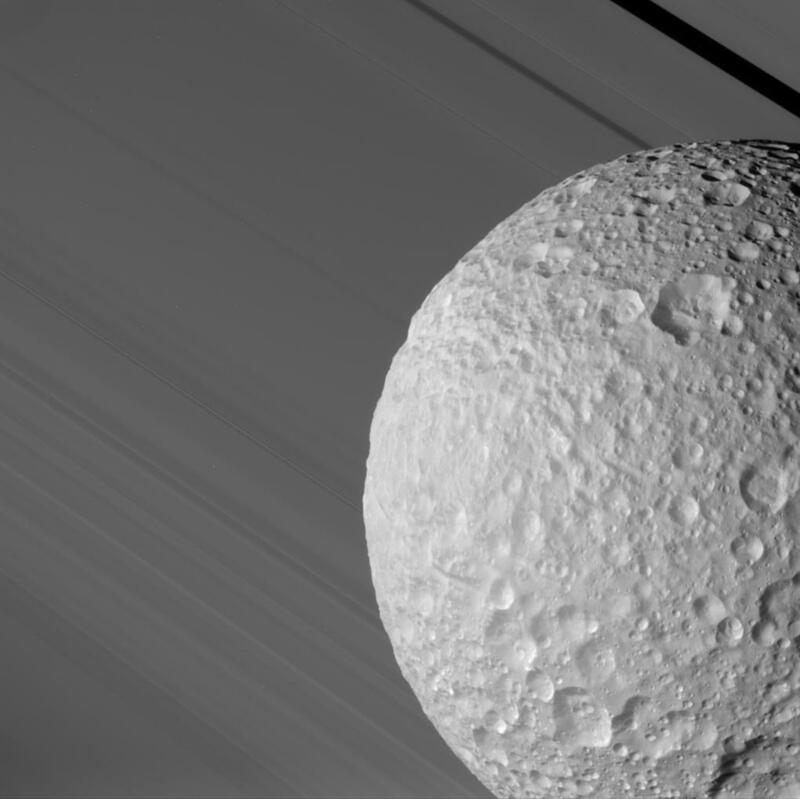 The smallest features seen on the moon are about 400 meters wide (440 yards); the Sun-Mimas-Cassini angle is 44 degrees.